This is an unusual post for this blog, as it touches on the politics and military landscape of Pakistan, which is not the theme of Vacuum State. 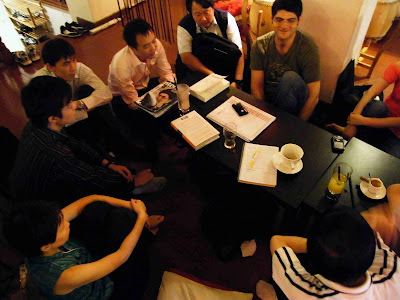 This post is here as a chronicle of a Futurist group meeting. None of us in the group are politicians, political analysts, foreign correspondent in Pakistan, or members from the military top brass. Our knowledge of the war in the tribal areas in Pakistan is merely based on the mainstream media. The authors of this ambitious book address a fundamental political question: why are leaders who produce peace and prosperity turned out of office while those who preside over corruption, war, and misery endure? Considering this political puzzle, they also answer the related economic question of why some countries experience successful economic development and others do not. The authors construct a provocative theory on the selection of leaders and present specific formal models from which their central claims can be deduced. They show how political leaders allocate resources and how institutions for selecting leaders create incentives for leaders to pursue good and bad public policy. They also extend the model to explain the consequences of war on political survival. Throughout the book, they provide illustrations from history, ranging from ancient Sparta to Vichy France, and test the model against statistics gathered from cross-national data. 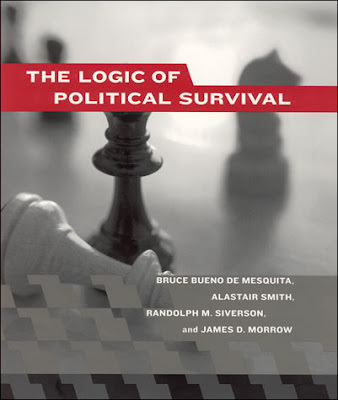 The authors explain the political intuition underlying their theory in nontechnical language, reserving formal proofs for chapter appendixes. They conclude by presenting policy prescriptions based on what has been demonstrated theoretically and empirically. Why is a group like this discussing about "Pakistan"? Reply: This is because the government there has almost abdicated the tribal area Swat only about 100 kms away from Islamabad, to the control of the Talebans. This is a grave concern as Pakistan has nuclear weapons. Will it disrupt the development of technology that serves humanity, or even cause an annihilation of civilisation? It may not be a concern as the Pakistani army has a strength of about 900,000 and it will not allow further fragmentation of the country. Question is whether the Taliban can takeover any place outside their bases? There is also local interests other than religious fanaticism. Logically, it serves the army to tolerate some amount of chaos to justify its own existence. Is the news exaggerated to serve US interests to send troops into Pakistan? Probably not, as the Pakistani army has a better chance (with local knowledge) than the US to take on the local rebels. Why are there no bio-warfare so far in any countries? Because it is difficult to weaponise bacterial and viruses. Rebel groups like the Taleban will find it difficult to develop them as they will need laboratories and in-depth knowledge and expertise.